The Carbohydrate-Insulin Model: Is It Too Simple? Losing weight is more complex than following a simple diet. 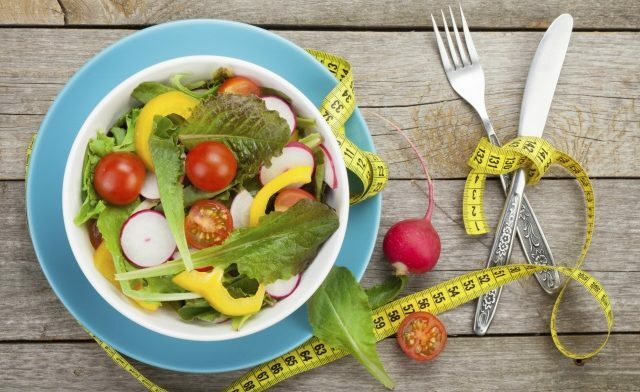 Despite the popularity of low-carbohydrate diets, there are no long-term conclusive data to suggest that they may increase metabolic function, suppress appetite, or lead to sustained weight loss, according to nutrition experts. In addition, endocrinologists may want to take time to help debunk the myriad popular claims for extreme low-carb diets. During a symposium at ObesityWeek 2016,1 experts discussed the benefits of exercise and the problem with promoting one specific type of diet. “Right now, our studies are small and underpowered to make definitive conclusions. However, there are trends toward deleterious effects of high glycemic loads on health, and there is evidence that in some measures, it is not important,” said Diana Thomas, PhD, spokesperson for The Obesity Society and professor of mathematical science at the United States Military Academy in West Point, New York. A study recently published in PLOS One2 showed that 3 low-carb meals within 24 hours lowered postmeal insulin resistance by more than 30%, but high-carb meals sustained insulin resistance.1 The study also found that 2 hours of moderate-intensity exercise, which should lower insulin resistance and blood sugar levels, had no impact on these results The study included 32 postmenopausal, metabolically healthy women. “There is much debate as this symposium [at ObesityWeek 2016]1 reflected on the role of macronutrient and exercise effects on body weight regulation and health. Moreover, policy decisions are made from recommendations that arise from the science. The talks all pointed to a need for more studies to direct us to what may be best,” Dr Thomas told Endocrinology Advisor. She said clinicians are now in a conundrum because guiding patients on diets with too many restrictions is tricky. The drive to eat following cravings for carbohydrates may be high, and prescribing exercise for sedentary behavior is difficult, noted Dr Thomas. David Ludwig, MD, PhD, an endocrinologist and researcher at Boston Children’s Hospital and Harvard Medical School in Massachusetts, said the conventional approach to weight loss with a calorie-restricted diet has been shown to have poor efficacy in an environment with unlimited calorie availability. He noted there may be some value in approaches that reduce anabolic drive and lead to reduced adiposity. Dr Ludwig explained that reduced anabolic drive may be achieved by lowering carbohydrate amount and/or glycemic index. Studies comparing strategies that reduce anabolic drive to improve dietary composition with those that restrict calorie intake in the treatment of obesity are warranted, he noted. Dr Ludwig said it is vital that these studies are conducted in patients with type 2 diabetes so clinicians can adequately counsel their patients. Close more info about The Carbohydrate-Insulin Model: Is It Too Simple?